Editor’s note: Antti Vilpponen, one of the original founders of ArcticStartup, is the GM at UpCloud. 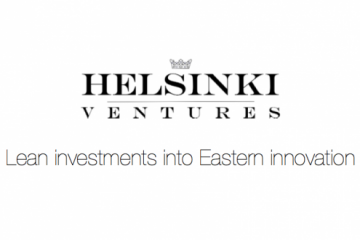 ArcticStartup is also hosted through them. It’s cliche to start every article about data security by referencing the Snowden revelations, but in truth, data-sensitive industries are taking a hard look at how their data is treated. Finnish Infrastructure as a Service (IaaS) provider UpCloud announces they’ve developed a model where no matter where their data hosted, no customer information is hosted along with it, making it much more difficult to prove who that data belongs to. According to their model, all customers sign agreements with their service under a Finnish company, which guarantees them another layer of safety under the Finnish and European privacy acts. This spring UpCloud plans to open a data center in the U.S., likely in Chicago, through fully owned subcontractors. Currently UpCloud has data centers in Helsinki and London and has seen solid growth, tripling its revenue in 2013. “We believe this will guarantee our customers privacy in such a way that they only risk giving access to their data they host in the U.S. (if law enforcement requires access to it through the secret FISA court). However, no personal data is handled in our US data centre at any moment in time, which makes it impossible for the local law enforcement officials to understand who that data belongs to,” Antti Vilpponen, GM at UpCloud tells us. Therefore if U.S. law enforcement or the NSA go through the secret FISA court system to get access to data, they would also have to go through the European and Finnish courts to find who it belongs to. Finnish courts require more information than the easy access through the FISA courts, and under EU legislation personal data cannot be turned over to countries outside of the EU if it is believed security and appropriate handling of that data can’t be trusted. While the U.S. currently doesn’t fall into that category, Vilpponen tells us he’s certain it’s beginning to tilt that way. This model is a major investment on UpCloud’s part, and they see themselves nicely positioned as Finnish and European privacy acts get tougher as more and more information flows out of the press. In addition, the company announces a partnership program to offers opportunities for companies looking to leverage UpCloud’s cloud services platform, and get benefits in service use and sales. UpCloud develops its service in close contact with these partners. One for the first is Nordcloud, which provides cloud infrastructure automation and administration services. Wunderkraut has been another wide-scale partner of the program, who have built services on UpCloud for large Finnish brands like Nelonen Media, Marimekko, and Uusi Suomi.